Anyone feeling hungry for a little grilled goat? Or perhaps some “dulce de cayote” with “nueces y quesillo,” a dessert that contains fig, goat cheese, and walnuts? Then you may want to head to La Rioja, Argentina, where a Mercedes-Benz GLA recently took a road trip. 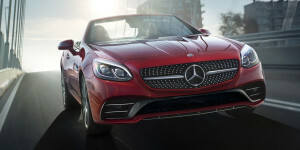 A Mercedes-Benz.com piece recounts the journey, through discovering the restaurant that serves the above. If what you’re really craving is a new Mercedes-Benz, come out to Mercedes-Benz of Beaumont at 1865 I-10 South and take a new model for a test drive.